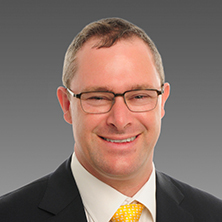 Dr Andrew Lovegrove is a Perth born and educated anaesthetist. Having finished medical school at the University of Western Australia, he joined the WA Anaesthetic training program completing the College Fellowship in 2005. With time spent at Bunbury Regional Health Campus, post-fellowship training in complex obstetric anaesthesia care and more than decade in private anaesthesia practice in Perth, Dr Lovegrove has an appreciation of both anaesthetic and general healthcare needs throughout Western Australia. With a wide-ranging practice incorporating regular care of patients having obstetric, gynaecology, complex and routine orthopaedic, cardiac electrophysiology and urology procedures, Dr Lovegrove is able to incorporate the care and experience required to ensure excellent outcomes. In addition, he maintains a mentor role within the Medical Faculty at UWA and undertakes clinical teaching of both medical students and anaesthetic trainees. West Australian Anaesthetic Training program incorporating rotations at Princess Margaret, King Edward and Royal Perth Hospitals. Dr Lovegrove is accredited at the majority of Perth’s private hospitals. Please follow these instructions as failure to do so greatly increases the chance of adverse complications under anaesthetic and as such, your procedure may be DELAYED or worse still, CANCELLED on the day. Please fast from all kinds of food for > 6hrs prior to your admission time. This includes chewing gum, lollies, mints etc. If your admission time is scheduled for the morning, it is suggested that you please fast from Midnight / 24:00. If your admission time is scheduled closer to midday (12:00), it is suggested that you may have a 'light breakfast'. Please ensure that you have finished at least > 6hrs prior to your admission time. You may drink water up until 2 hrs prior to your procedure. Note - juice / cordial / milk and 'other' liquids are classified as a FOOD and must be ceased > 6hrs prior to your procedure. Please take all of your medications unless advised differently by your Surgeon or Anaesthetist. You may take your medications with a small glass of water. Anticoagulants / 'Blood thinning' medications. Please discuss these medications directly with your Anaesthetist at least 3 days prior to your procedure as they may need to be changed, ceased or have the dosage altered. Please contact my rooms on (08) 9381 9100 if you have not heard from your Anaesthetist with specific instructions. If you are scheduled for Day Surgery and are expecting to go home the same day as your procedure, it is a requirement that you have a responsible family member or friend pick you up from the hospital at your discharge time. Furthermore, it is also advised that a responsible family member or friend remain at home with you to care for you overnight. Note - It is important to understand that our 'Duty of Care' will not allow you to be discharged home in an unaccompanied Uber / Taxi etc.